Like so many of the windows in our house when we bought it, the alley side basement windows were both covered over. So this weekend we tackled the shop side window. 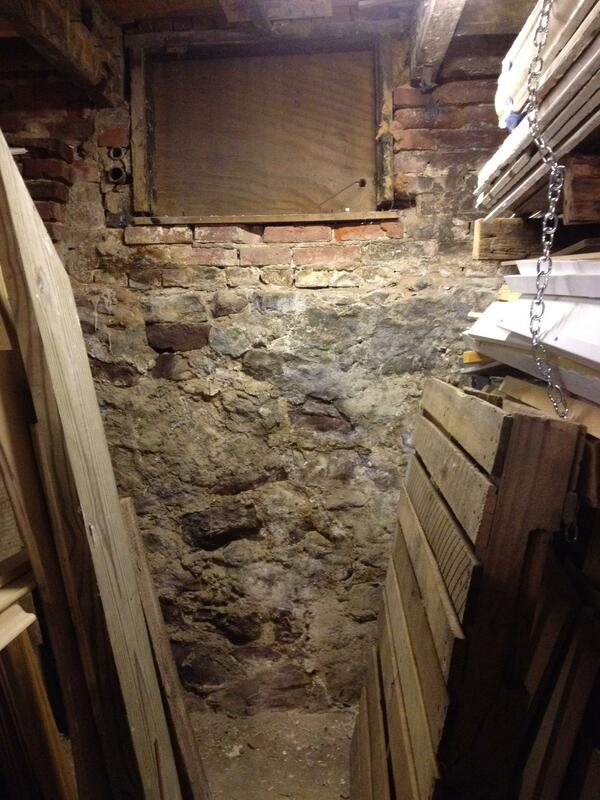 Of course from the basement it is clear there was once a window here. 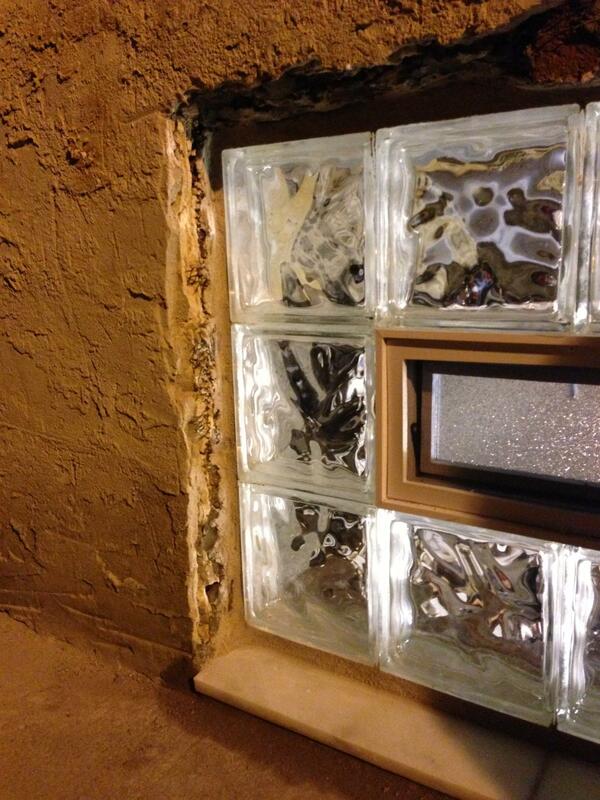 But on the outside the stucco runs continuous right over the old window. So to get started we drilled a pilot hole to mark out the window’s location on the outside. 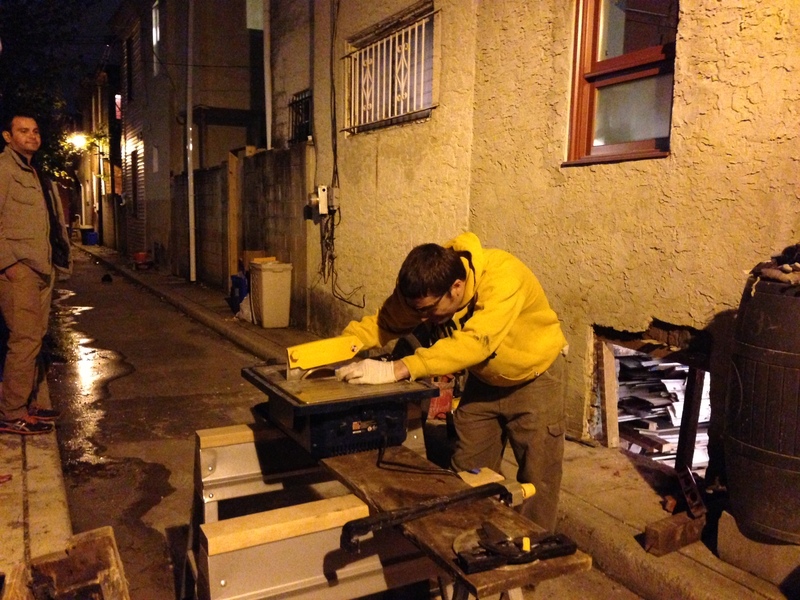 Then using a hammer drill from the West Philly Tool Library we slowly chiseled around the opening. Finally the stucco came off in one big piece. 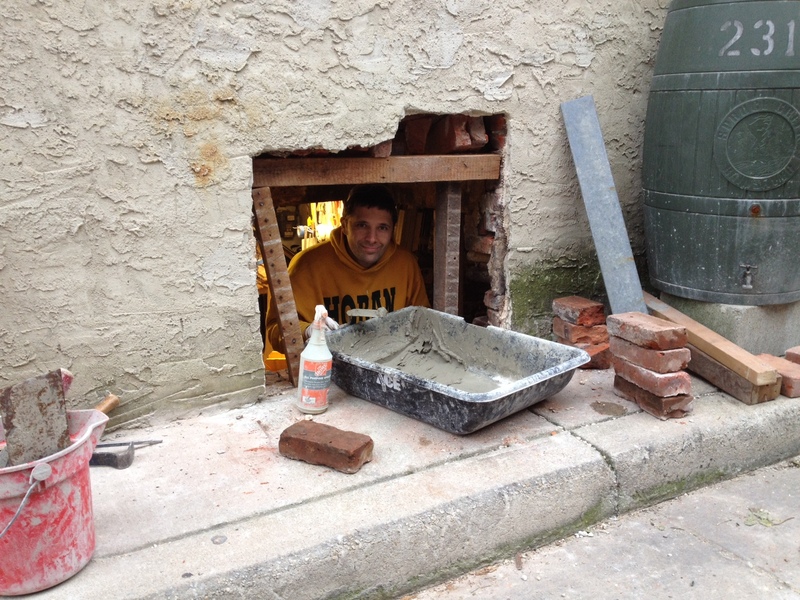 There was just an open cavity behind 2 layers of stucco! 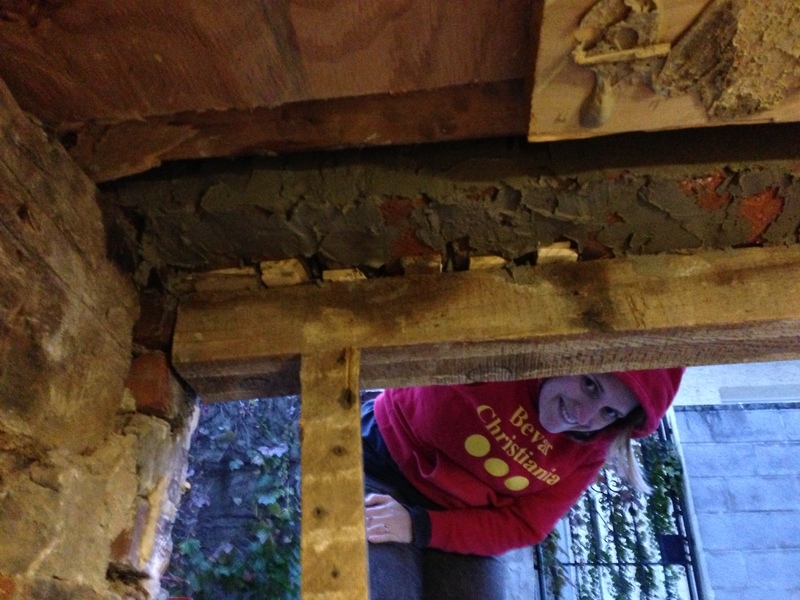 Next we took out the old window frame & plywood from the inside. It was interesting the window header was formed by full depth rowlock bricks, but unfortunately they were not in good shape. 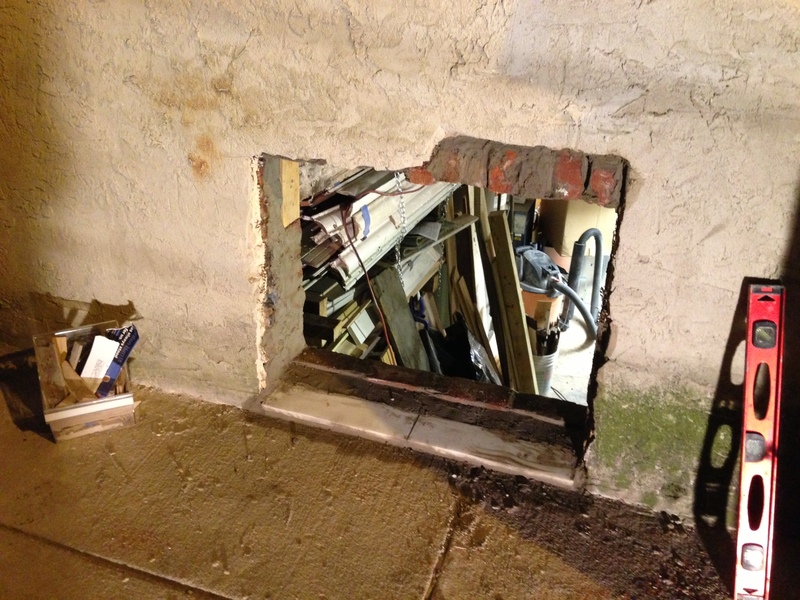 We had to build temporary framing and then remortared the loose bricks. Then we set a galzanized steel angle to permanently support the brick header. 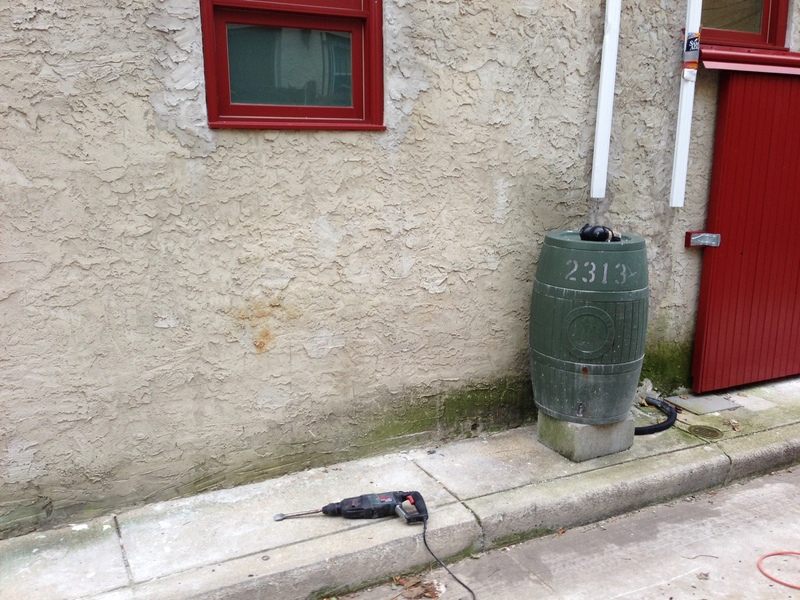 The jambs also needed some masonry work. 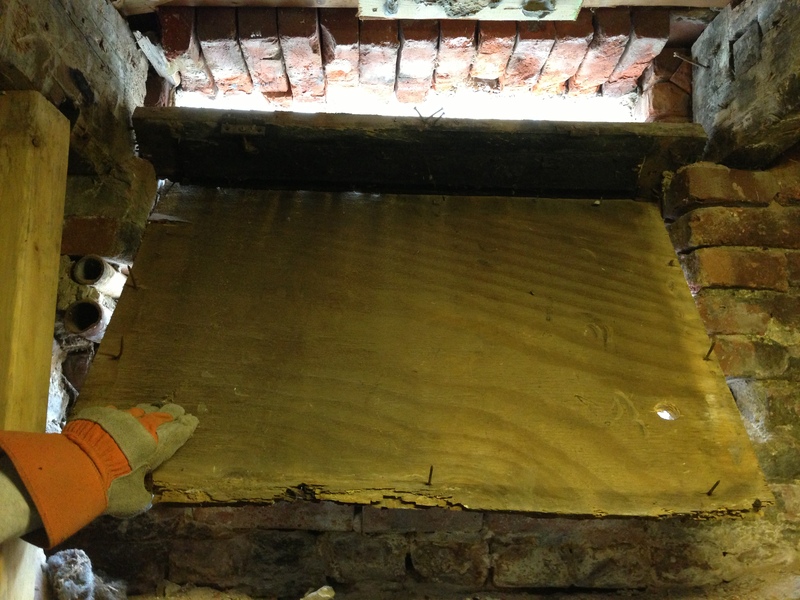 Ok… sill is in and a taller course of brick was laid behind it to form a sill pan / water stop. 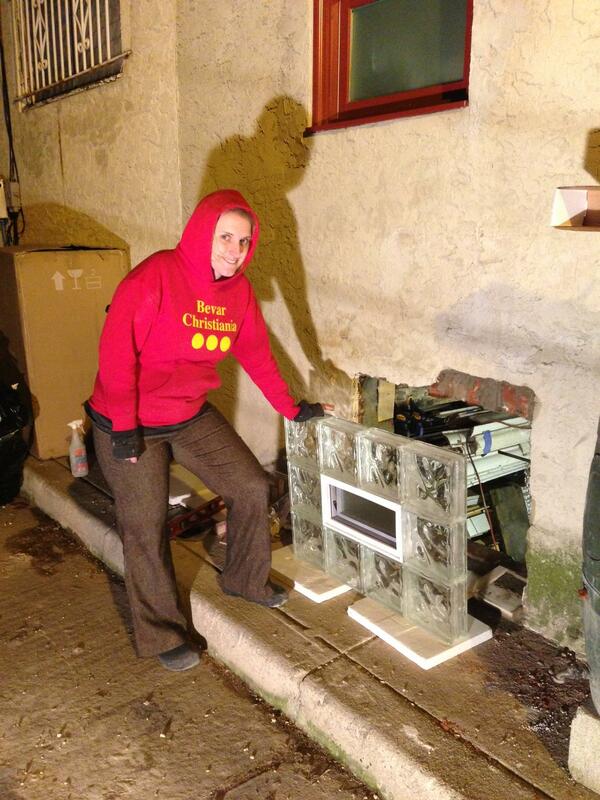 It’s now dark since we’re back to standard time but at least the window is ready to go in. 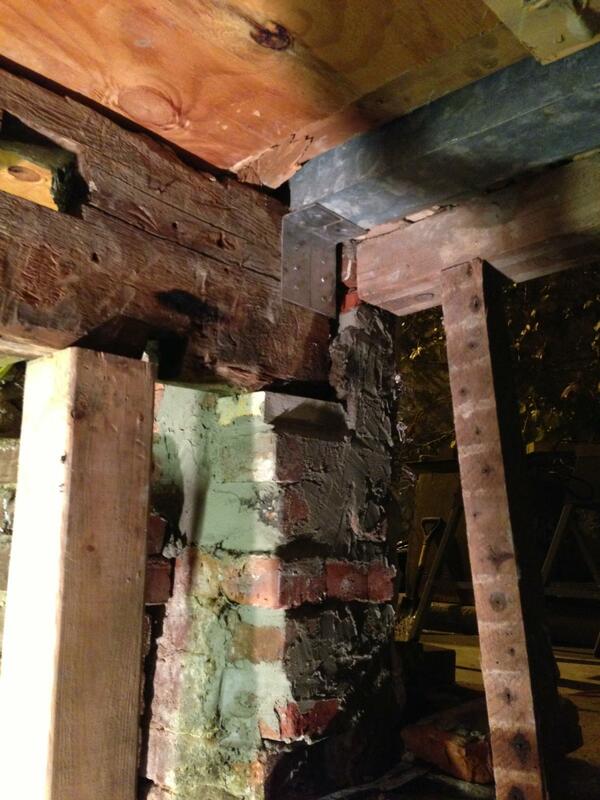 We shimmed the top and bottom to get it level and plumb and the mortared the perimeter to hold it in place. 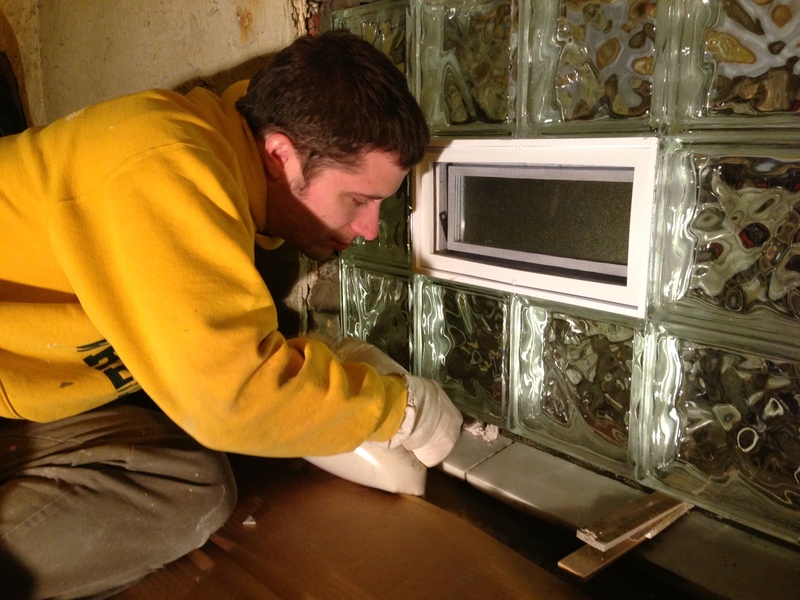 It’s a special white mortar formulated for glass block. 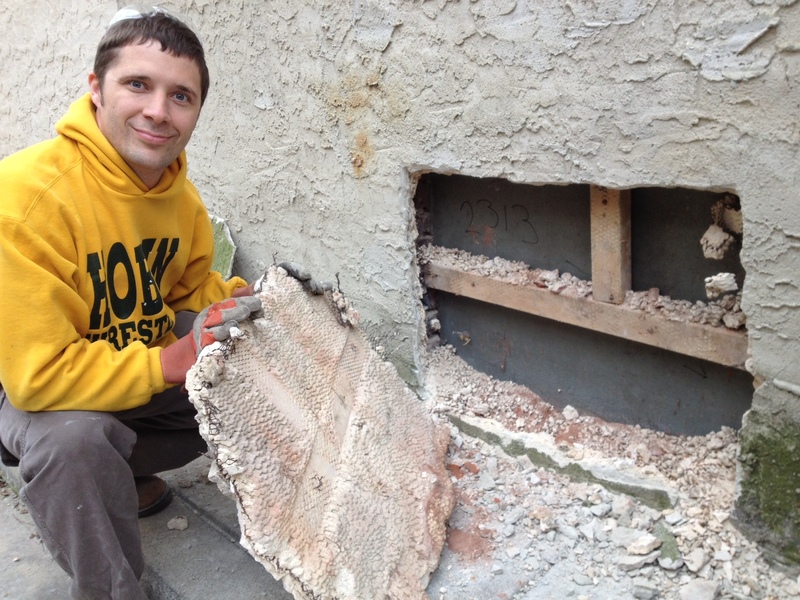 Once the mortar began to set up we were able to remove the shims & filled the holes. I can’t wait to see our newest window in the daytime. 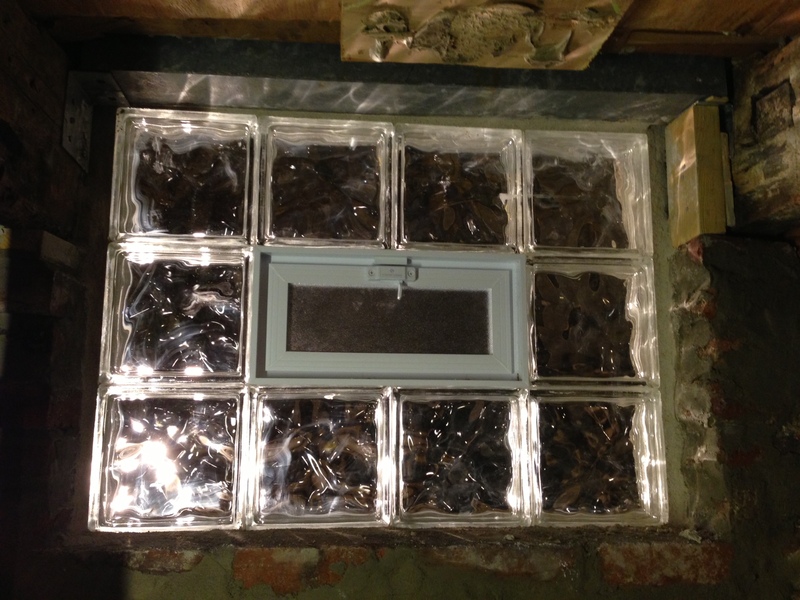 This window will bring in tons of light into our basement shop. We had originally struggled with what type of window to install here, but in the end we chose glass block for durability and security on the alley and it was a lot cheaper the ‘standard’ window we would have bought! This was also relatively faster than a typical window to install. All that is left now is to patch the surrounding stucco and take finish photos! That’s a lot of work! It looks really good. I’m envious of your Tool Library. Wish I had access to one of those. We are so lucky to live 5 minutes away from the West Philly Tool Library. 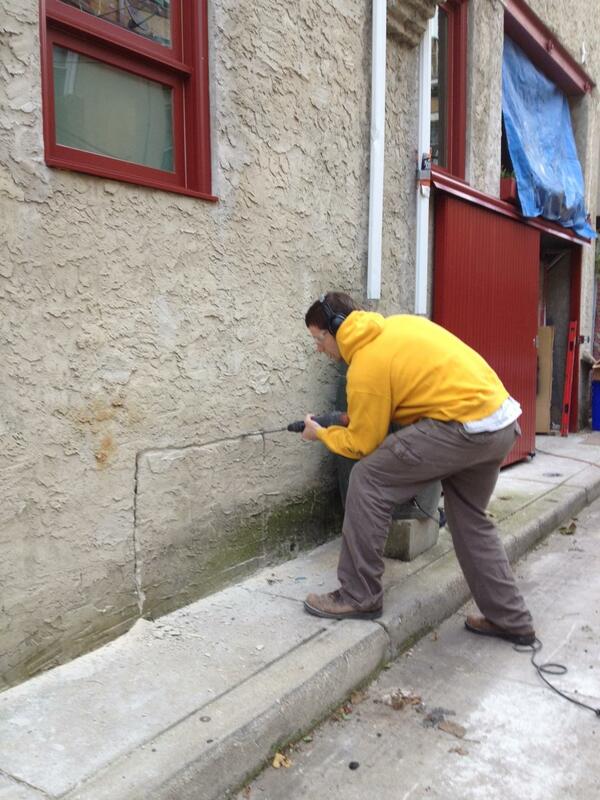 We don’t really need our own masonry drill!